In honor of the holiday that emphasizes new beginnings and fresh starts, River City Wellness is offering new patients $15 off their first treatment of acupuncture therapy during the month of February. (PRLEAP.COM) Feb 1, 2019. Louisville, KY. More than 20% of the people around the world celebrate the Chinese (or Lunar) New Year set to take place February 5th of 2019. In honor of the holiday that emphasizes new beginnings and fresh starts, River City Wellness is offering new patients in the Louisville, Kentucky-area $15 off their first treatment of acupuncture therapy during the entire month of February. New patients who mention the "Chinese New Year" promotion upon booking will receive a $15 discount; taking the original new patient cost of $95 down to the follow-up price of $80. Known for the largest firework display throughout the world and elaborate red decorations, the Chinese New Year is a time for many who follow the traditional Chinese calendar to reunite with family and work towards good luck. It is the longest lasting Chinese holiday, taking place over a 15 day period, and only ending on the first full moon of the lunar year. The year of the pig is this year's chosen zodiac animal and is a symbol of wealth and fortune. Rooted in the ancient traditions of Chinese Medicine practices, River City Wellness focuses on providing a healing environment for all patients seeking to regain a sense of nourishment and well-being. Acupuncture has proven to be an effective treatment method for a wide scope of ailments including pain, fatigue, respiratory issues, stress, headaches and migraines as well as gastrointestinal problems. 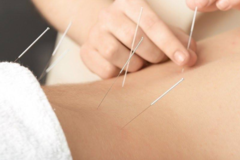 The benefits of acupuncture therapy have also been known to be enhanced when accompanied by other traditional Chinese Medicine techniques such as Moxibustion, Cupping, Shiatsu and Tuina massage. Licensed Acupuncturist at River City Wellness, Lindsay Matthews has over a decade of experience and is state certified in Kentucky as well as nationally certified by the National Certification Commission for Acupuncture and Oriental Medicine. When it comes to practicing the many therapies of Chinese Medicine, River City Wellness believes in a natural and holistic approach. It is the mission of River City Wellness to help patients have a deeper understanding of how the body works. Those seeking relief from depression, anxiety, and even allergies may find acupuncture therapy helpful in boosting immunity and restoring a long, healthy and active lifestyle. For more information, please visit River City Wellness online or call 502-822-0626. Acupuncture appointments usually last about 90 minutes for new patients, and can be easily scheduled online or by phone. River City Wellness offers an environment where growth and healing occur alongside a deeper understanding of how the body works. Using a holistic approach, special attention is paid to both the physical and emotional body as well as how they relate to one another. Recommendations in lifestyle choices are given including appropriate exercises, better food choices, and ways to break poor habits. 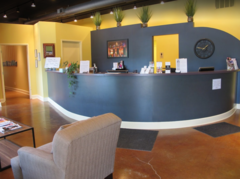 Compassionate care and an authentic desire to help others is at the root of River City Wellness's philosophy. For additional information or to schedule an appointment, please call 502-822-0626. Lindsay Matthews, M.Ac.O.M, L.Ac grew up in Atlanta, Georgia. 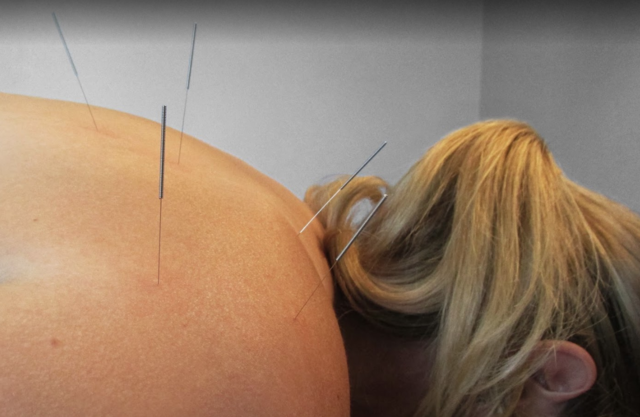 After graduating from college, Lindsay moved to Maui where she first discovered acupuncture. She completed graduate studies in acupuncture at the Oregon College of Oriental Medicine in Portland, Oregon. Along with acupuncture, her education includes: herbal theory, meditation, and massage. During her free time she enjoys spending time with her family and friends, working out, and gardening.